Scottscope: Spidey Swings through The City While Private Pyle Shows His War Face on This Week’s Scottscope Podcast! Spidey Swings through The City While Private Pyle Shows His War Face on This Week’s Scottscope Podcast! What’s old is new again on this week’s Scottscope Podcast! 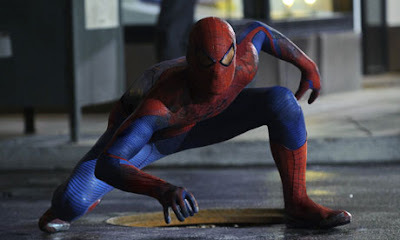 First, the Scottscope roundtable takes a look at The Amazing Spider-Man. How does it compare to Sam Raimi’s trilogy? How does it measure up to other recent superhero reboots such as Batman Begins and X-Men: First Class? Is it too soon to restart a ten year old franchise? Will it get overshadowed by The Avengers and The Dark Knight Rises? Next up, we celebrate the 25th Anniversary of Eric B & Rakim’s seminal classic Paid in Full. How does it hold up after all these years? Was it truly as groundbreaking as many remember it to be? Was Rakim truly the most gifted MC of his generation, or was he simply one of many talented rappers that emerged around the same time? We also celebrate the 25th Anniversary of Stanley Kubrick’s Full Metal Jacket. Where does it stand in Stanley Kubrick’s oeuvre? How accurate is its portrayal of Marine Corps basic training? For that matter, how accurate is its portrayal of the Vietnam War? We go on the air tonight at 8pm EST. Feel free to join us and share your opinions. You can click over to http://www.blogtalkradio.com/scottscope/2012/07/10/spidey-swings-eric-and-ra-get-paid-and-private-pyle-snaps and share your thoughts in the chat room. You can also call (347) 215-7756 and talk to us directly. As always, we go hard on any topic we discuss, so be sure to bring you’re A-Game!